Why do I need WordPress Maintenance for my website? We think WordPress is awesome - it's open source and free to use. But just like any other software, WordPress is prone to bugs and problems over time if the software is not maintained. WordPress needs a health plan to keep it working properly, with this in mind, we have developed our 'WordPress Maintenance' service. At Net Solutions we are experts in WordPress and know how to look after it so you don't have any trouble down the track. We have developed our own methods, processes and tools making sure your site continues to operate in tip top shape around, the clock. We manage and maintain our own servers where security and performance are at the top of the list. We also perform regular backups should anything go wrong. If you’re finding the task of updating your WordPress software too complicated or arduous and not given the right priority, then your best option is to outsource these WordPress Maintenance tasks to professionals. Getting your WordPress site hosted and maintained by Net Solutions makes sense. Can I manage my WordPress site myself? Yes you can, as long as you know what you are doing and have the time and discipline to regularly carry out the various tasks associated with WordPress Maintenance. Your site may 'appear' to be running fine, but when it comes to software things aren't always how they 'appear'. WordPress sites use Plugins and additional software from third party authors. Software developers come from all walks of life and so the quality of their work varies anywhere from from good to really, really bad! It means that something will break at some point in time. When things do break or you site does not behave correctly, you need to be prepared with correct processes tools and above all skills to restore your site. My website was just built so I don't need any WordPress Maintenance? All too often we get enquiries from clients along the lines of "My web designer is really good, he built my website and said as long as you don't touch anything you don't need to do anything more to it and it will run forever. This is just not true and blatantly ignorant. Once you site has been built the risk of anything going wrong may be small, but over time risks of things breaking and having your site compromised will increase every day. When your site does get compromised and when you do notice things not working as expected,you will most likely need to reach out to a developer to get your site fixed. Don't be surprised to find that the costs of getting your website cleaned and restored will be significantly more than the annual cost of WordPress Maintenance. Why wasn't I made aware of WordPress Maintenance when my site was built? When WordPress was first released the need to keep your software updated was not of a high priority. Software updates were generally only required when things broke. WordPress has evolved over time has rapidly become the leading content-management system today. At the same time hackers and criminals have discovered that there is a great deal of money to be made from hacking websites with a very low risk of ever being caught. The importance of protecting your site from hackers has never been greater and software updates are released more frequently. We introduced the WordPress Maintenance Packages to keep you site operating in tip-top shape. Why should I use WordPress if it needs all this maintenance? As of 2017 over 80 million people use WordPress to power their websites, making it one of the most popular open-source Content Management Systems (CMS) available. WordPress software is complex and fully-featured. Frequent updates make it a dynamic, easy-to-use solution with on-going improvements via upgrades. We continue to advise that WordPress is a good solution for our clients who want a modern, easy-to-update website that can grow with their business needs. Can you guarantee that my site will operate error free? No we can’t. We cannot guarantee that any software will be 100% error free. WordPress software is written by humans, who do make mistakes. 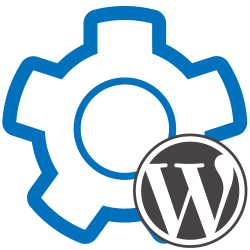 WordPress also uses plugins and relies on themes. This is software that is written by third parties and again, we cannot guarantee that their software will be 100% error free. We will use best practices to make sure your site is protected as much as possible. Can't I just restore my site from backups? Backups are great, if you have the time to do them and you do them regularly. All too often though this activity gets low priority until something hits the fan and the situation then becomes critical. The other issue is that simply restoring a backup will often not resolve the issue. If your site was hacked though a vulnerability and you restore from your last backups, the hackers will simply return and gain access again, as the vulnerability is still there. Backups are great, but you have to update all the software, plugins and themes regularly. What do you do as part of WordPress Maintenance? Backups are the cornerstone of our WordPress Maintenance service. If an update fails or your website crashes, it’s imperative to have an up-to-date backup of your website. Our automated backup service takes the load off your mind by running scheduled backups and making sure that an up-to-date backup is always ready. Our backups are incremental and run off-site. Depending on your plan backups are stored for 30 -90 days. Uptime Monitor saves you time worrying about what your website is up to. It instantaneously notifies our support team if your website goes down, giving us a good chance to fix the problem before it becomes serious. Your website is checked every minute from multiple geographically displaced locations. We perform daily security scans on your site to make sure it is clean and free of any malware, viruses or trojans. We use Sucuri which scans the pages on your website and compares the code against known malware knowledge bases. We also perform a blacklist check with a number of services, like Google Safe Browsing, Norton Safe Web, ESET, etc. The results of each scan are stored in an archive and are included in our maintenance reports. WordPress is in active development so software patches and updates are periodically released to address security issues, bugs and functionality updates. These need to be updated as soon as possible once they are released. Net Solutions will update plugins as they become available via the official WordPress.org repository. Premium Plugins are updated as part of the package if the update process is automated via API. Some plugin updates carry a high risk of breaking things and may not be backward incompatible. We cannot guarantee or warrant any plugins on the suppliers behalf. Plugins will only be updated when it is safe to do so, and when it's not we will notify the client of possible alternate solutions. Net Solutions will update your Themes as they become available via the official WordPress.org repository. Premium Themes are updated as part of the package if the update process is automated via API. Premium Themes that require a license will only be updated if Net Solutions manages the license for your theme on your behalf. In such a case, please arrange for Net Solutions to purchase and manage the license for your theme. Our theme management fees are billed separately and are based on the annual theme cost, plus currency conversion (if applicable) and a handling fee of 20%. Some theme updates carry a high risk of breaking things and may not be backward incompatible. We cannot guarantee or warrant any theme provided by a third party supplier. Themes will only be updated when it is safe to do so, and when it's not, we will notify the client of possible alternate solutions. Our WordPress Maintenance Reports are designed to give clients a baseline and awareness of what's taking place on their website. Reports are emailed in PDF format and depending on your package, include details on core, theme & plugin updates, backups, site optimisation, Google Analytics tracking, security scans, performance monitoring, Uptime Monitoring, WooCommerce statistics and SEO keyword tracking. Almost all activities happen behind the scenes so our aim is to keep you in the loop so you can get a good understanding of what we do. Our site optimisation process helps tidy up your website by removing and purging obsolete post revisions and spam comments. We also perform database cleanups to remove overheads. Having too many post revisions, spam comments and database overhead can increase the load on your database, which will slow down your website over time. The Performance Reporting feature benchmarks the performance of your site against some basic standards. It shows you if your site has any bottlenecks and if it's loading 'Fast', 'Standard' or 'Slow'. We run daily website speed tests from multiple locations around the globe using real browsers (Firefox, IE and Chrome) and at real consumer connection speeds. Our results provide rich diagnostic information including site load time, resource loading waterfall charts and page speed checks. Our SEO Rank Tracking helps keep track of your keywords ranking performance over time. It helps find out who your competitors are and how you stack up against them. If you have a WooCommerce site we can include WooCommerce statistics into you reports. We collect the reports from WooCommerce plugin directly. It give you a high level view of number of orders received, items purchased, items shipped, gross and net sales and coupon usage. It means that you don't need to login to your site to generate and send separate WooCommerce reports. You will have direct access to our WordPress experts who can assist with anything 'WordPress'. Our software engineers are all local Australian resources. We can take care of content updates, adjusting theme or CSS stylesheets installing or replacing plugins, configuring forms and configuring WooCommerce. From code to general WordPress issues your site will be in good hands. Simply raise a service request via our Client Area and your request will be given priority support. Whatever your WordPress needs - we will take care of them! All packages are billed annually, in advance. Only available on Net Solutions Business Hosting platform. *Basic package support is billed at the discounted rate of $99/hour, in 30min increments (normally $132/hour). *Standard package includes 30min of support per month. Additional time is billed at $99/hour in 30min increments. *Premium package includes 60min of support per month. Additional time is billed at $99/hour in 30min increments. You can submit your 'Anything WordPress' support request via this form. Our WordPress experts are local Australians. If you don't have a Maintenance & Support Package with Net Solutions, you can still request our support using this form. Our rates are $132/hour, billed in 30min increments.